So I had my first major mess up as a photographer...a scheduling mistake. One of my biggest weaknesses/flaws/whatever you want to call it that I don't understand AT ALL what it means when you say this week, next week, etc. It's just a concept that I don't understand...no matter how hard I try. 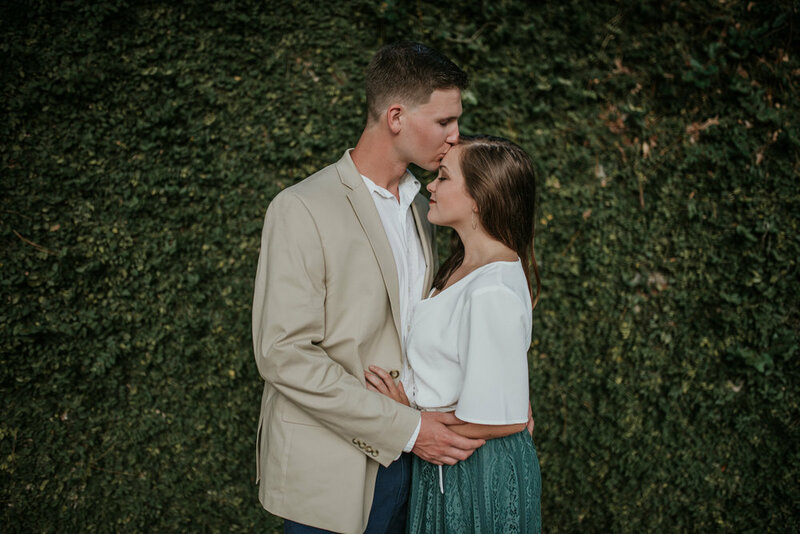 It was totally my fault that I didn't clarify the date of the session, but poor Elisabeth and Brandon texted me asking me to let them know when I was on my way to the photo shoot location, and when I received the message I was still at my job at the bookstore. Jesus was looking out for me that day because I normally don't have my phone on me, but since I was in the back room working, I had my phone on me to listen to some music while I was working. Luckily, Elisabeth was super understanding about the situation, and I just want to give a shout out to the best bosses at the bookstore ever for understanding my mistake and letting me leave early so that I could rush to my photo shoot! 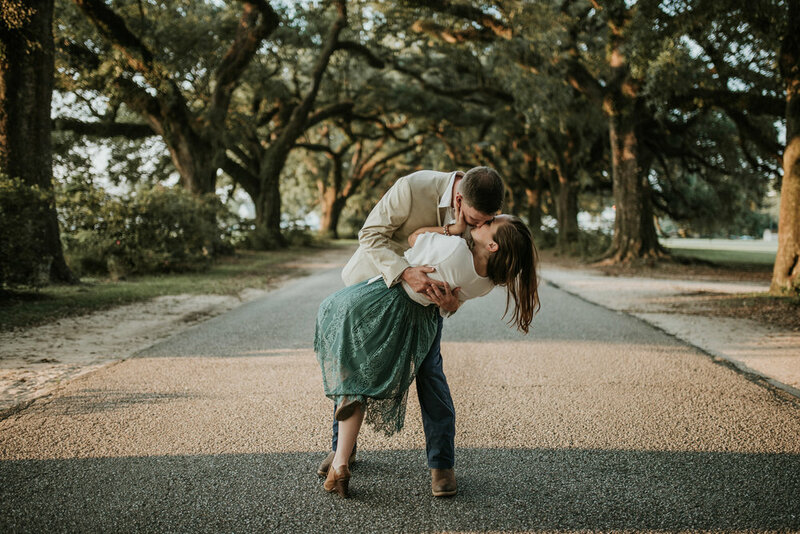 Anyways, despite the almost missed photo shoot on my part, we were still able to capture the most gorgeous golden light at the magical avenue of oaks on Spring Hill College. 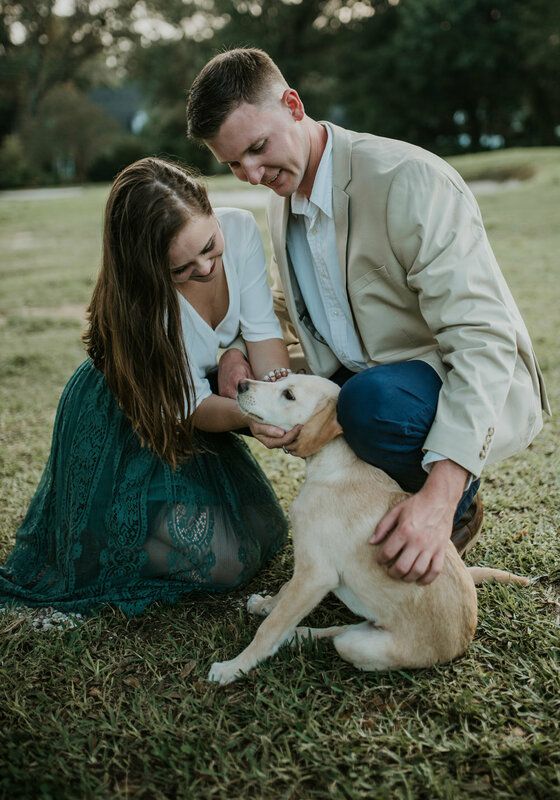 Elisabeth and Brandon also brought along their super adorable puppy to the session which definitely made my day! 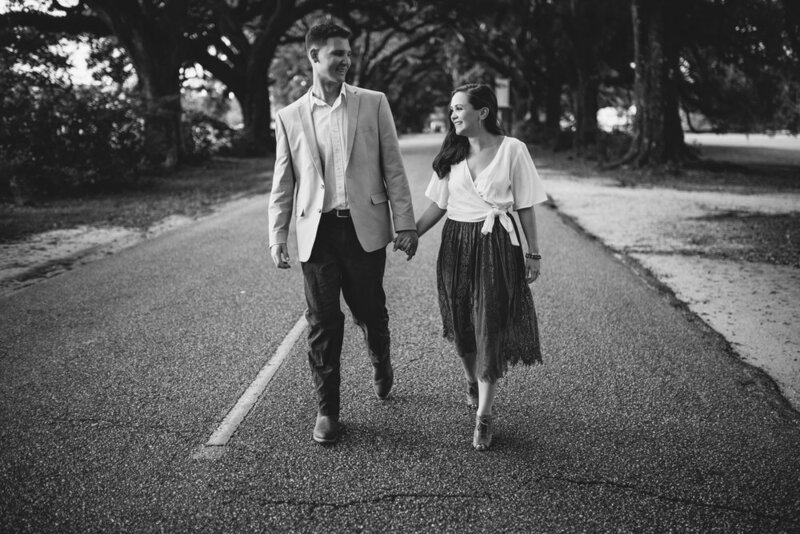 Here are a few pictures from this sweet session, and I can't wait for Elisabeth and Brandon's wedding in December!